We provide excellence in outsourced accounting services throughout Virginia Beach & Norfolk. Your time is valuable. We provide streamlined procedures to handle your accounting and bookkeeping, payroll services, tax preparation, and managerial reporting: reducing operating costs, improving company focus, and making your business more profitable. We make doing business easier -- and it's much more affordable than you might think! We specialize in helping new businesses as well as immigrant-owned companies! Call 757.486.0007 today for a free consultation! Why outsourcing your accounting makes sense: Handling the overwhelming amount of government regulations and compliance reporting requirements can be a challenge for any small business owner. needs to manage his or her day-to-day business operation. Your time is best spent on the day-to-day operation of your company. Accounting Ease was founded to meet the needs of small business owners like you, providing critical services that free you to focus on success. It's too easy for a small business owner to procrastinate with bookkeeping: We increase your efficiency and profit with real time reporting for your business. You can enjoy peace of mind while we handle the work so you can focus on doing business. We reconcile your bank and/or credit card accounts, provide an end-of-quarter balance sheet, and generate income statements. We diligently establish your employee data and classification. collect time-sheets, print checks, and manage delivery. We pay and file weekly payroll taxes, file your quarterly and annual reports, and can work with your existing Payroll Service Company to provide all necessary payroll information for you. We summarize and reconcile your fiscal year and create projections and provide tax estimation before year's end. We perform analysis on potential tax-savings, provide support throughout the fiscal year, and prepare / file taxes for both individuals and business entities. We also can prepare and e-file personal tax returns. The managing partner of Accounting Ease, Aman worked with the New York Times Company for years serving in the corporate tax department as an accountant. He served as the Controller for Golden Lily, Inc where he was responsible for all financial reporting and strategic planning. He has also provided financial consulting services to churches, retail and other small businesses that have sought his advice. 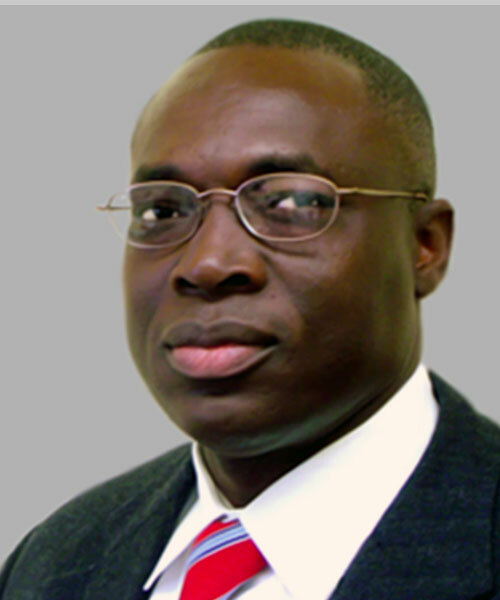 In 2004, Mr. Massaquoi sought $1.2 Million in loans and real estate transaction for his clients. He possesses a B.A. in accounting and an M.B.A. with an emphasis in Managerial Reporting and Internal Control. Accounting Ease is staffed with accountants and consulting professionals with over a half century of combined experience serving multi-national companies as well as small businesses. Their passion is helping small business owners obtain complete, high-quality, yet affordable back-office accounting services. We're ready and waiting to help you gain control of your business' accounting and bookeeping challenges..